Sub: Promotion process reforms - Constitution of Selection Board - Amendment to para 218(c) of IREM Vol.I, 2009 Reprint Edition. Attention is invited to Para 2018(c) of IREM Vol.I Reprint Edition 2019 and instructions issued vide Board's letter No. 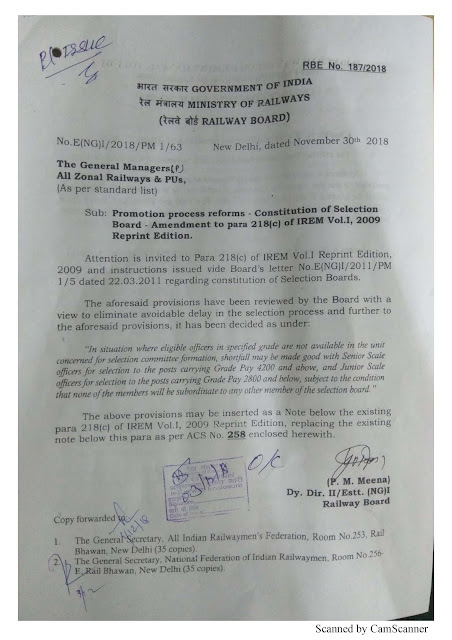 E(NG)I/2011/PM 1/5 dated 22.03.2011 regarding constitution of Selection Boards. 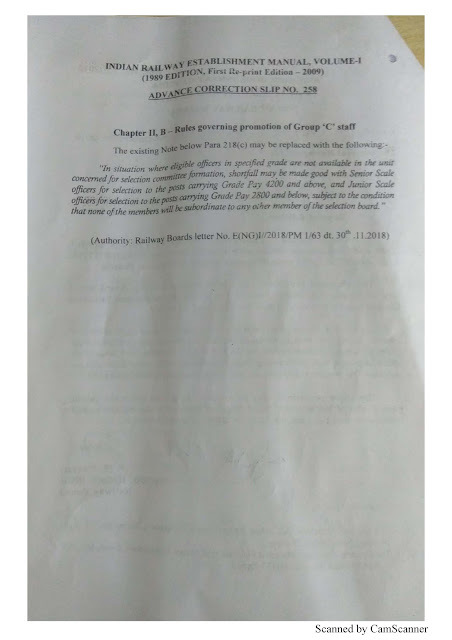 "In situation where eligible officers in specified grade are not available in the unit concerned for selection committee formation, shortfall may be made good with Senior Scale officers for selection to the posts carrying Grade Pay 4200 and above, and Junior Scale officers for selection to the posts carrying Grade Pay 2800 and below, subject to the condition that none of the members will be subordinate to any other member of the selection board."